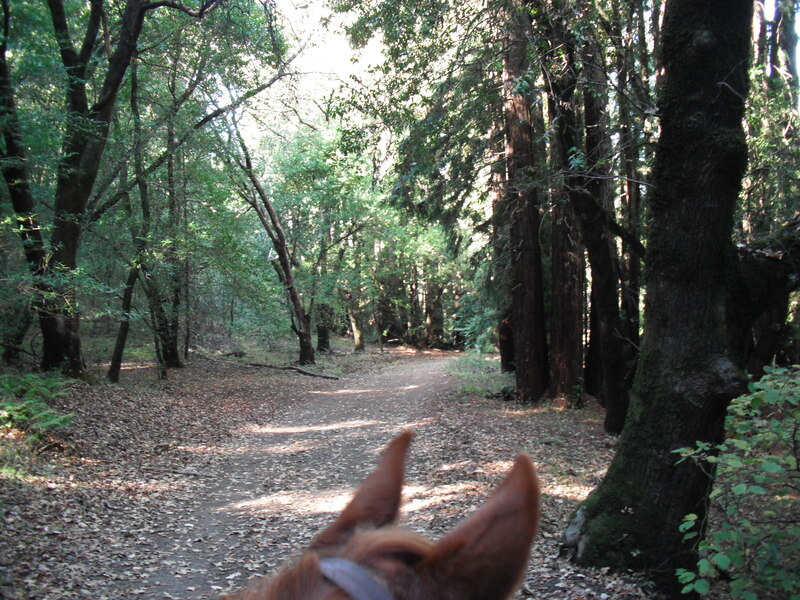 had a fall fantastic ride at Jack London State Historic Park on Sunday, October 30th. 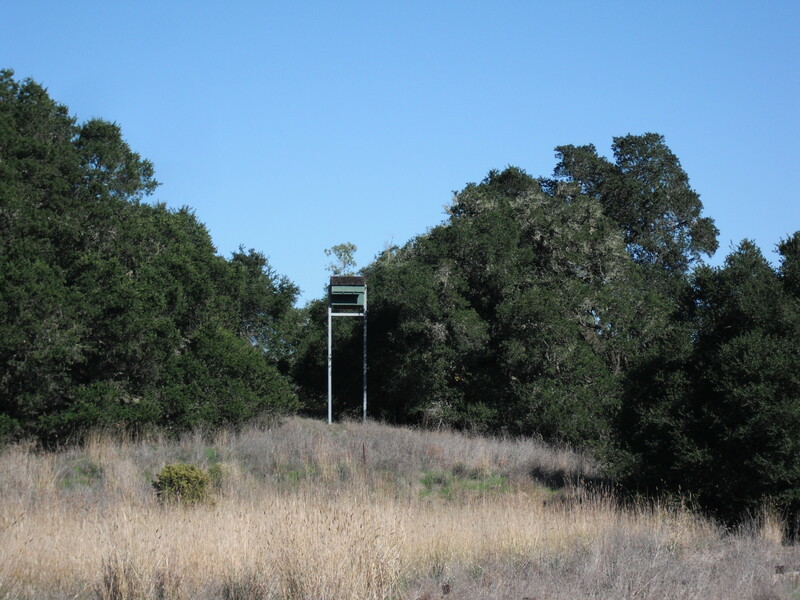 Jack London named his property in Glen Ellen the Beauty Ranch, and it’s true the location and the day couldn’t have been more beautiful. The temperatures couldn’t have been better—it was a clear, bright day in the 70’s. Twelve of us rode just a few of the many trails in this historic CA. State Park. We had four guests along including prospective member Carole H. from Healdsburg. Karin invited three guests from Mendocino County, Dell, Marge and Doris. (Sorry, I don’t have their last names.) 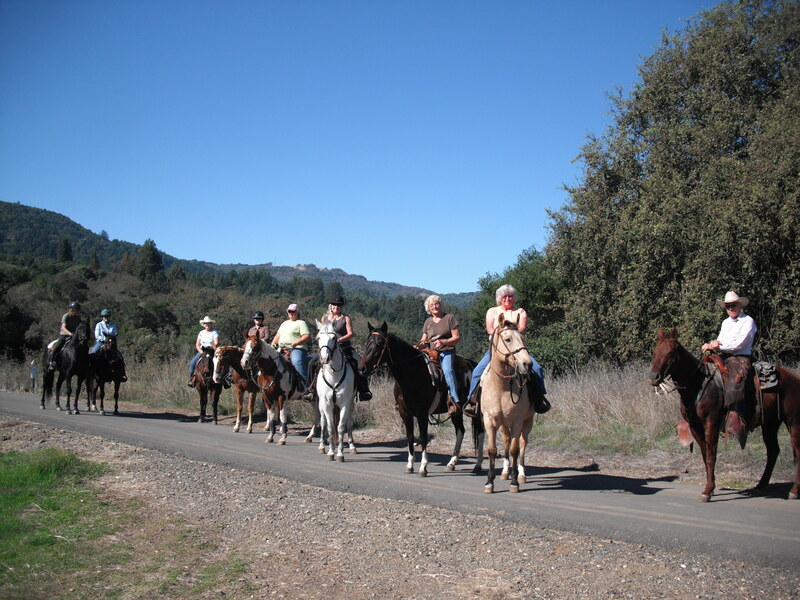 Our RETR members who rode at Jack London included Karin, Debra, Angie, Barb, Paul, Dave & Carol R. and me. A trail view through Barb's Joe's ears. Thank you Barb P. for all these photos. Luckily, Debra had a complete trails map of the Jack London Park, which Barb (with volunteer advisors) used to plot out a circle loop of trails for us. We took off from the summit road onto Quarry Trail, made a few more turns onto some “fruit” named trails bordering old orchards. (Hmmm, should we call that the Fruit Loop? Ha!) We went past the SDC campgrounds, skirted some rural-residential areas (which may or may not have been part of the SDC properties), but were marked as part of the trails system. We then went past some minor road construction onto a newly graveled road, and looped back past another pond. At one point we ended up on the Broken Bridge trail, and yes, the bridge was broken! But it’s easy to ride or hike around it. 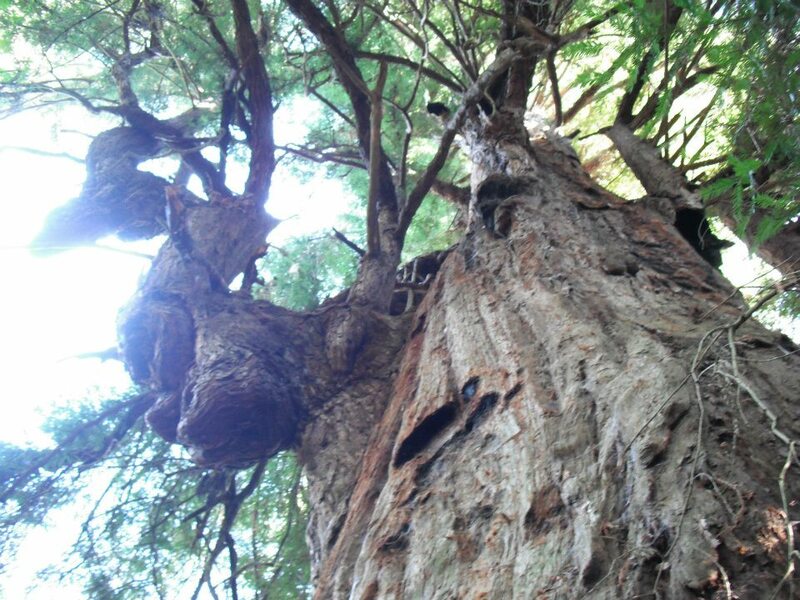 we ate—we directed them to the “Ancient Tree” as a “must see”. 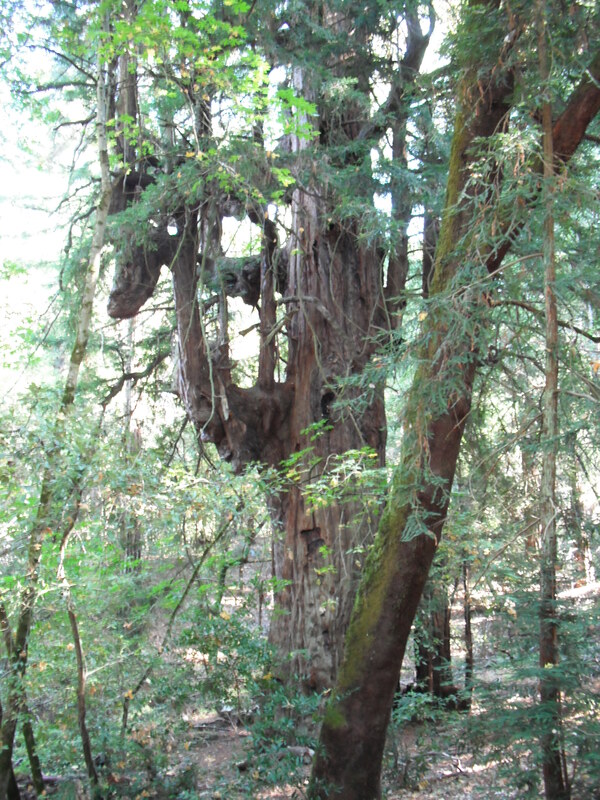 A ghost-like view of the Ancient Tree. horses.) A few kids and their parents enjoyed petting Barb’s Joe and Angie’s Surfer Joe. http://www.jacklondonpark.com/VMNHA%20Page.htm. 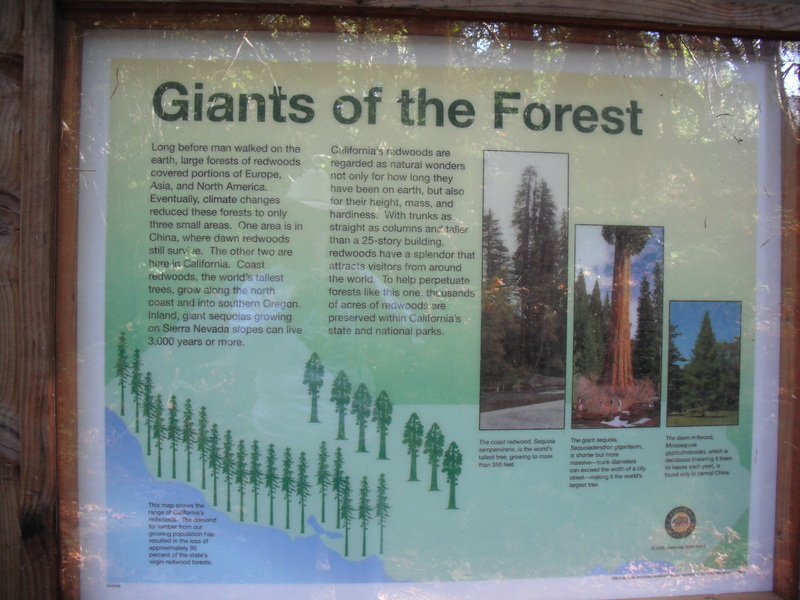 Or, contact me to make a donation through the Redwood Writers, a nonprofit branch of the California Writers Club. This entry was posted in authors, California Writers Club, ghosts, Horses, Jack London, Ponies, riding, Sonoma County, State Parks, travel. Bookmark the permalink. What a beautiful day you had for riding. Beauty Ranch is such a special place in our county for the man who founded it, the famous and not-so famous visitors who have made their way to it, and for the experimental nature of Jack’s farming techniques…I love the Pig Palaces. You are showing us it is a lively place, not buried in the past. I’ll get on the ball and send my check in. Thanks, Arletta! I have a feeling the non-profit will raise enough $ to keep the park open. Let’s keep our fingers crossed! 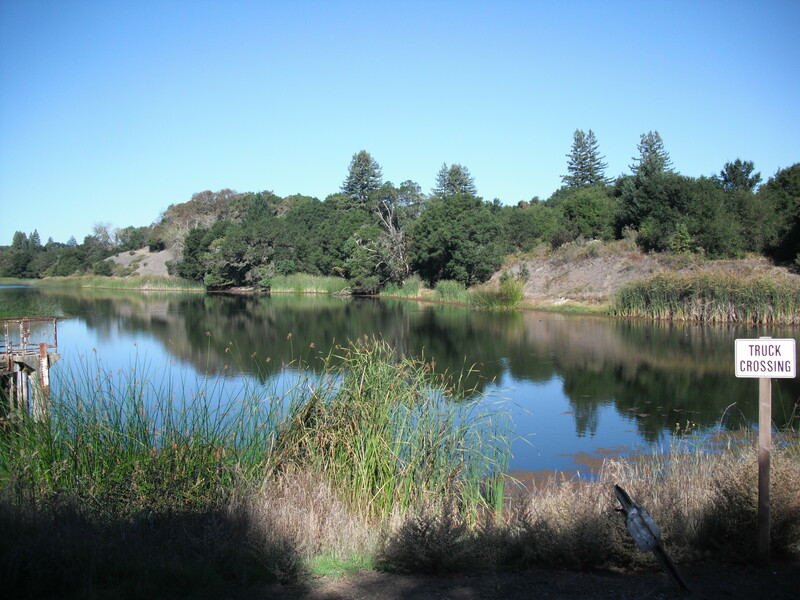 Thanks for this second and fun post on Jack London Park. Great job, Robin. I hope you don’t mind me hitting the “Reblog” button on WordPress. That should make a post with links to your post here. Thanks, Deborah! Yes, reblog’s are always appreciated. I’ll be glad to borrow yours too–remind me whenever your blog relates to horses or writing. I enjoyed your trail ride. It sounds like you found trails that I’ve never seen, having only been there on foot. Loved the pics. Too bad that you couldn’t get closer to the Wolf House. That’s my favorite eerie place, conjuring up all kinds of lovely ghosts. 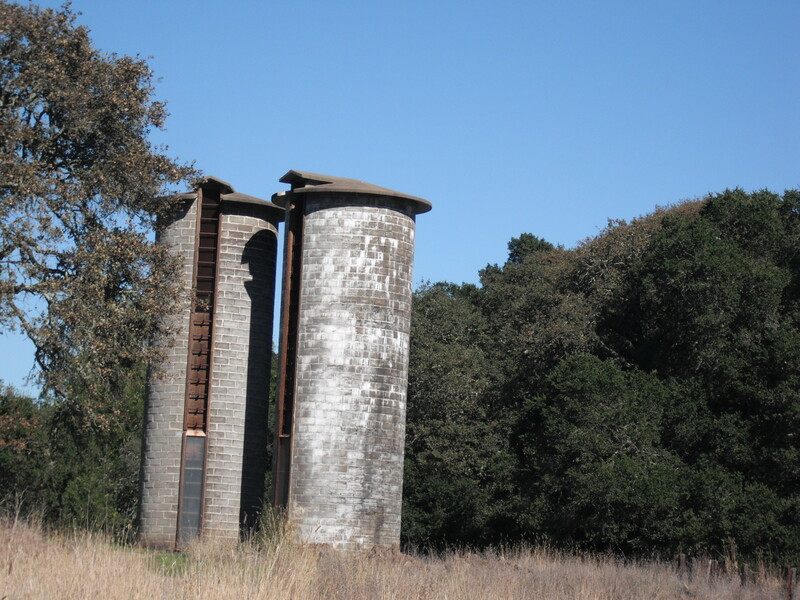 Time to take a day trip over there again, and maybe eat at that mill in Glen Ellen with the big water wheel. Thanks, Jeanne! Yes, you can take any of those trails on foot too. And I love eating there at the Old Grist Mill or at Yeti’s next door. Yum!